The TCU Horned Frogs and the Texas Tech Red Raiders meet on Monday at United Supermarkets Arena. Texas Tech has struggled some of late and face a very dangerous TCU team in Big 12 action. TV: 9 p.m. 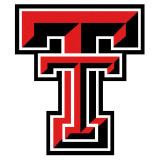 ET, ESPN LINE: Texas Tech -5.5; O/U: 132. After losing its third straight game, and scoring the fewest points since the 2014-15 season, Texas Tech coach Chris Beard expressed his desire for finding options to help leading scorer Jarrett Culver. Davide Moretti answered the call Saturday. The Italian scored a career-high 21 points in a win over Arkansas. The 6′-3″ guard will try to continue increasing his production as the 13th-ranked Red Raiders battles visiting TCU on Monday night Big 12 basketball action. Moretti averaged 12.3 minutes in 37 games last season, is averaging 10.4 points this season in 29.8 minutes. He has averaged 13.3 points in his last eight games and connecting on 39.7 percent of his shots from beyond the arc overall. TCU is coming off a 55-50 win over Florida in the SEC/Big 12 Challenge on Saturday. They held the Gators to three points in the first 11:35 of the game to build an 18-3 lead. Texas Tech has been exceptional at home this season. They have posted an 11-1 record and limited its opponents to 52 points per game and a 32.8 shooting percentage. TCU is 1-3 in true road games this season. The TCU Horned Frogs are 15-3 overall and 3-3 in the Big 12. Forward Kouat Noi scored 22 points and guard Desmond Bane added 17 against Florida as the Horned Frogs improved to 10-1 at home this season. Bane ranks seventh in the Big 12 with 15 points per game. Noi, who has drained a 3-pointer in 18 straight contests, ranks ninth at 14.7 ppg. Guard Alex Robinson is third in the nation at 7.7 assists per game. His dishes this season has left him 10 away from matching Corey Santee’s school record of 575 assists. The Horned Frogs are averaging 76.9 points. That ranks third in the Big 12, and are top 50 in both offensive (40th) and defensive efficiency (18th) in the nation.